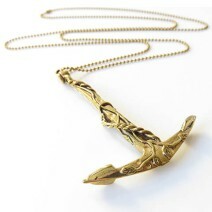 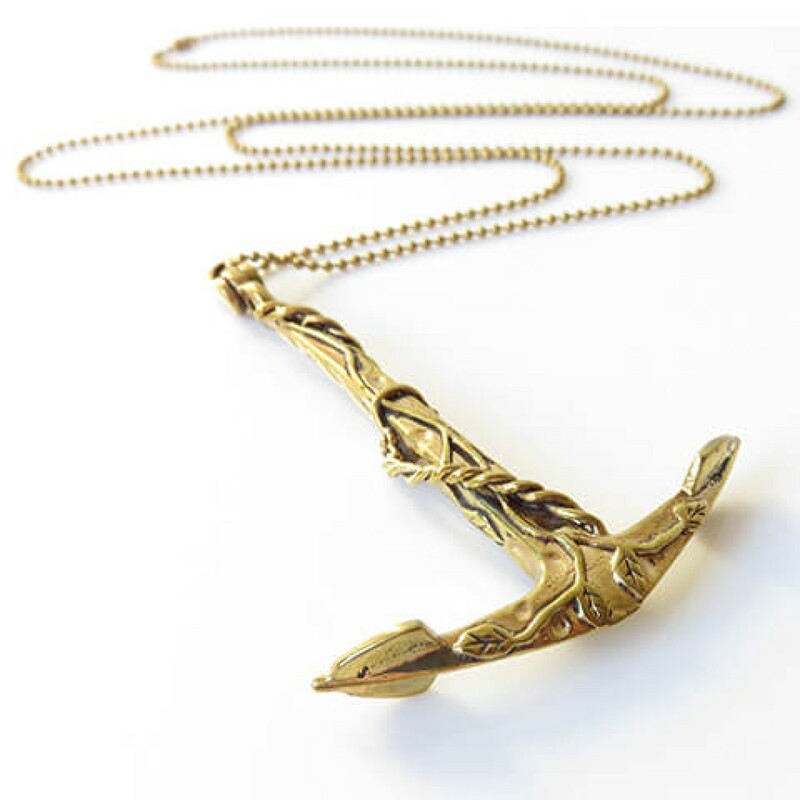 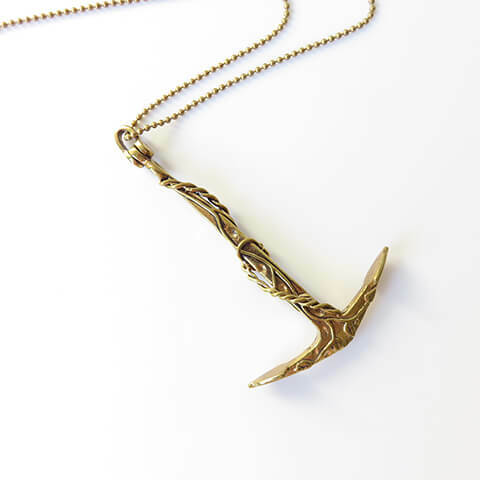 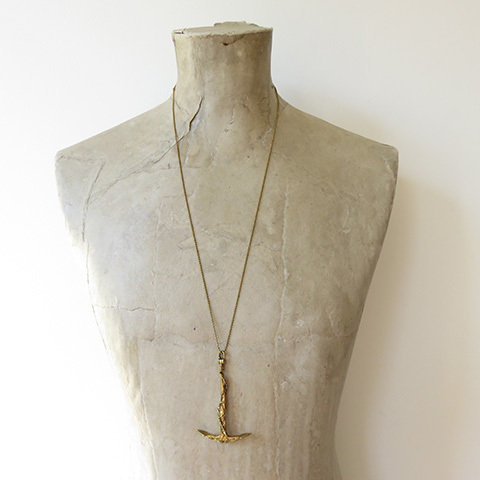 A nautical brass Anchor necklace. 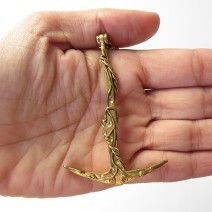 This polished brass ships Anchor and rope charm features ghostly creeping ivy. 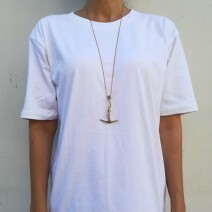 The anchor hangs from a brass dog tag chain. Perfect to wear with your Fisherman beanie hat.